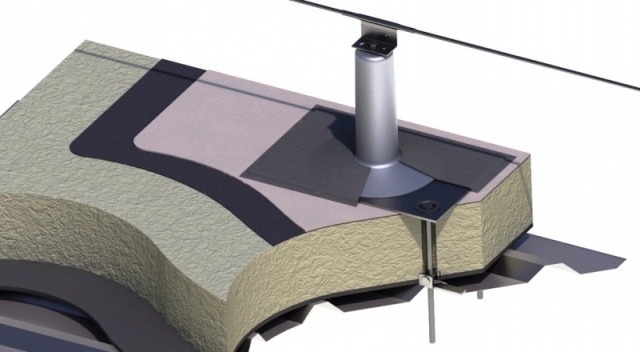 KeeLine® Horizontal Lifeline system has been redesigned to allow easy installation on bitumen membrane roofs. KeeLine® wire-based lifeline system provides continuous fall protection and is ideal for roofs where guardrails are not suitable or for when a virtually invisible solution is required. The system offers uninterrupted safety for up to three users, allowing them to move freely around the roof for maintenance, inspection or repair work. KeeLine® features a redesigned post and base plate for use on bitumen membrane roofs, new toggle fixings for ease of installation, a slimline corner design, stronger rivets, improved swage and reduced height intermediate uprights. In addition to membrane roofs, KeeLine® is suitable for providing fall protection on a variety of other roof types including standing seam and metal profile. KeeLine® has been tested and conforms to the requirements of EN795 2012. Read featured news stories from our various other regional sites.